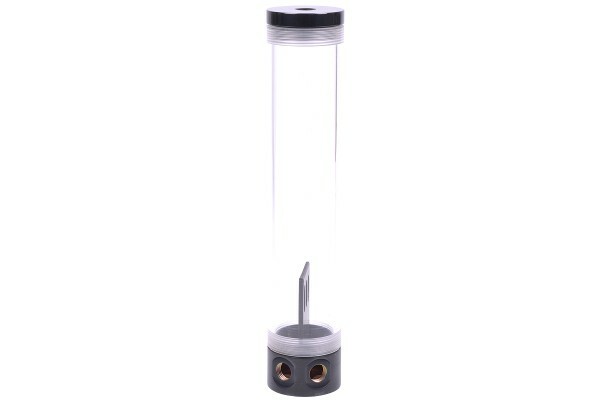 The top and bottom are made from solid metal and combined with a transparent tube made from Plexi. Shining gold plating, silver, black matt or a black nickel finish are the first available colours. The reservoirs are available in 150mm, 250mm and 450mm length, allowing use in virtually any case size. Please note: On items in this price category slight scratches on the surface cannot be avoided at all times for manufacturing reasons. These may be reduced or even removed by polishing.